Wealth managers face a far more challenging environment now than they did ten years ago. Historically a low-priority for the Regulator, the sector is in the cross-hairs like never before thanks to a series of mis-selling scandals, and the Retail Distribution Review. This comes against a backdrop of an intense race to grow and ever increasing client expectations around levels of service and digital enablement. For many wealth management firms – especially smaller ones – the new burdens will come as something of a culture shock, and require substantial changes. 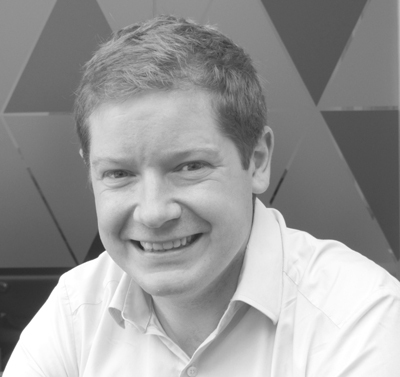 Ben Leighton from Baringa Partners explores the challenges facing these firms from a regulatory, organisational, and technical standpoint – as well as the question of how best to adapt, grow and progress to the next level. Since its inception over a year ago, the FCA has established a number of running remits concerning the wealth management sector. These touch on issues such as the FCA’s keen focus on Suitability and, of course, stability since the Retail Distribution Review. The latter has fundamentally transformed the way and extent to which firms can offer financial advice to clients. Further to this, the wider focus on Conduct Risk and effective supervision is currently topping the agenda for both the Regulator and wealth managers. This increasing scrutiny is creating a plethora of extra demands on wealth managers across the business, from data management to client liaison. The amount of data firms need to collect, maintain and evidence regarding interaction with their clients has ballooned, particularly with regard to suitability and appropriateness requirements. Client objectives, particularly those of retail investors, must be clearly defined, recorded and continually checked against the nature of the portfolios being offered. What processes does each firm have for monitoring this? What happens to unpick any issues should the boundary be breached? How must the firm ensure that the client’s situation is regularly updated to allow for such assessments? Under the Conduct Risk umbrella, standards of transparency in client reporting have become more onerous: clients must be able to see exactly what fees are being applied, on what basis and where, and firms must ensure they report against adequate external benchmarks. Consolidated on-boarding of new clients is now essential. There is also an increased focus on incentives (how firms are structuring remuneration for their advisors) as well as stricter due diligence requirements on the source of customer wealth. And all this is before we even touch on the challenge of reporting everything back to the Regulator, and the difficulties this brings with it in terms of reconciling data from a range of platforms. The list goes on. When it comes to Suitability, larger wealth management firms can sidestep the issue to some extent by stepping back from recommending portfolios to clients (and many are doing so). Smaller firms, however, do not have this luxury. Indeed, smaller wealth managers will need to ensure that the Suitability test applies not only to new sales but also to existing clients. This might necessitate a full ‘past business review’ of products and clients. The issue is how to deliver all of this effectively and efficiently without creating unnecessary, debilitating overheads in terms of people and resources, and without overly distracting from the core business. In addition to satisfying the Regulator, the second challenge faced by the industry is the race to grow while maintaining client service levels. The overall client experience is as important as ever. Clients expect the bespoke, individualised touch of a wealth manager in tandem with the digital, accessible service they are increasingly being offered by any high street bank. From easily navigable online access to intuitive apps and live functionality, expectations are increasing fast. Existing clients expect to be able to see an integrated view of their accounts and customisable reports with just a few clicks. Prospective clients expect a smooth, automated on-boarding process far removed from tedious paperwork and numerous manual handoffs. Operations and technology capabilities are vital in defining customer experience. However, these areas are particularly vulnerable in periods of change and growth. It would be a mistake to ignore important enhancements in these critical areas in the race to expand. Therefore, progressive, scalable changes are paramount, not only to meet requirements of the present, but also to prepare for the challenges of the future. When it comes to making big changes, firms may often be tempted to ‘skip to the end’, and get caught up in debates over what specific changes are needed, or whether to put this or that extra process in place. The prior question of how to manage change itself – of whatever sort – is often ignored. But it is crucial. There are three pillars upon which any change management process should rest: get the right people in, have a process, and know your business. It’s a challenge for firms of all shapes and sizes, but particularly for more niche firms that do not yet have a well-established change capability. Getting the right people ‘onto the pitch’ is paramount. This will likely involve up-skilling and training existing personnel who may have little to no experience of change management. It may also be prudent to consider bringing in third-party specialists with experience of delivering change to oversee and support the process. The ability to affect this in an organisation is a distinct skill in and of itself and shouldn’t be treated as an afterthought, or something anyone can ‘just do’, any more than you would assume that anyone can ‘just be’ a wealth manager. The change process itself is key. This means knowing, as far as possible, precisely what you’re going to deliver, and how you’re going to deliver it. People need to understand their roles and responsibilities – what is expected from them, and when – even if only at a very high level. Up-front and honest analysis of the present situation – from business objectives and processes to revenue streams, strengths and weaknesses – should also be the foundation of any change project. This way, everyone is aware of what is being built upon, and the firm can properly assess the impact of proposed changes. For smaller wealth management firms it is also important that new structures and processes are implemented in a smart fashion. Copying and pasting wholesale from a large player, assuming that ‘what works for them will also work for us’, is a common pitfall which can quite easily lead to the creation of unnecessary layers of work. Be smart about each new process – really question, ‘Do we, specifically, need this? Why?’, and then focus energies on those changes you do need. The right approach and attitude is, however, only half the battle. The challenge ultimately boils down to doing more with less – increasing structure while retaining nimbleness. Technology is a vital ally in this fight, especially given the new emphasis on data. Wealth management firms need to ensure they have adequate hardware to support the level of data collection and reporting they are aspiring to, responding to ever increasing regulatory demands and client expectations regarding customer service and digital enablement. Similarly, automation of processes can be a powerful tool. Manual slaving over spreadsheets can be a serious drain on time and skill. Investment in specialist third party software tailored for wealth management – or even your individual business – can pay dividends down the line. There is a cultural element to this: the shift from seeing IT as a secondary concern to placing it at the heart of your business, and treating it as the enabler of growth that it should be, rather than just something the business depends upon to function. Importantly, any technology change must be scalable and future-proof to avoid the need to rip out recently implemented systems just a few months down the line. A lot of the above relates to taking pre-emptive action, and seeing the challenges of growth and regulation as an opportunity to invest in the future as opposed to a reactive chore. It’s all about avoiding the lure of false economies. It may be tempting to take short cuts when implementing a change project, but the danger of not doing it in a structured way is that the project will almost certainly stumble in terms of time, cost and negative impact on client service. Money saved by avoiding automisation will simply be lost down the line to payroll when you have to hire a specialist to run reports for the Regulator. And a failure to invest in IT infrastructure will inevitably cause more pain at a later date when systems simply break, and your hand is forced. But a wealth management firm with the courage to make smart – and sometimes bold – changes in order to adapt will reap dividends down the line.